I love the holidays! It is a special time to spend with family and friends. We often find ourselves hosting dinner parties and baking holiday cookies. It really is the most wonderful time of the year! With all the celebrating and family in and out of the home, we as parents need to keep home safety a top priority and be extra mindful about added potential dangers that accompany the holiday season. Today I am sharing five home safety tips to keep children safe during the holiday season. 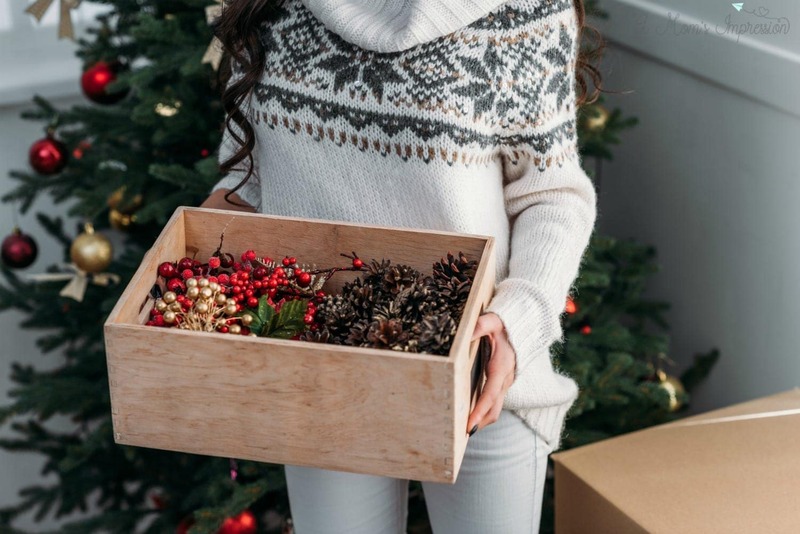 Holiday celebrations often involve exchanging gifts with loved ones. It’s important to check that any gifts children receive are safe and age-appropriate. Little ones should not be playing with tiny accessories that could fit inside their mouths and become a potential choking hazard. Some electronics may not be appropriate for younger kids as well. Be sure to check product packaging for the age recommendation and closely monitor all toys little children get their hands on. Christmas trees and holiday decor are so beautiful, but they can pose several safety risks if not used with caution. I remember my son crawling all around during his first Christmas and it hit me that he could reach the ornaments on the bottom of the tree. Children can choke on small ornaments and get hurt if the tree falls. I quickly moved the ornaments up and out of reach and secured the base of the tree to the floor to avoid tip over. Be sure to string any decorative lights up high and away from children’s reach. My daughter once touched a hot lightbulb and burned her little thumb, luckily, it was minor but I felt just awful. The holidays bring our laundry piles to a whole new level. Between outdoor clothing, multiple changes for different events and our winter swim lessons, we accumulate more laundry than the rest of the year. The holiday season also means lots of houseguests and dinner parties, which require a lot of prepping and cleaning. We keep our cleaning supplies in a high cabinet in our mudroom so our kids can’t reach them. It is especially important to keep liquid laundry packets up and away from kids because they can cause harm if swallowed or get into the eyes. We have our PACKETS UP! 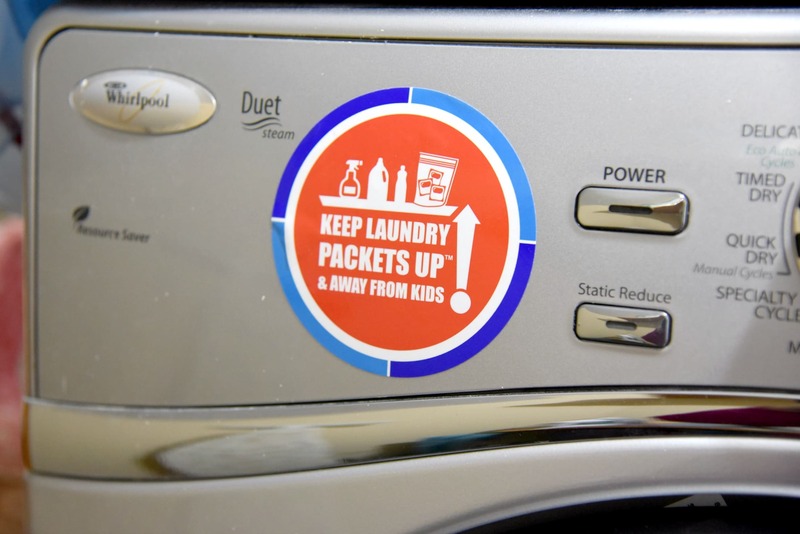 cling from the American Cleaning Institute on the top of our dryer to remind us to keep our laundry packets stored safely. Having the cling visible is a great reminder for guests visiting for the holidays so they know to always keep LLPs up and safely away, too. You can get your own free cling here! Learn more about LLP safety by visiting www.packetsup.com. Fireplaces are great for keeping warm during the cold winter months. However, it’s very important to talk with your kids about fireplace safety and take precautions by using a fire screen and bumpers on the hard edges of the fireplace to prevent injury. Keep stacked wood outside if you have toddlers or crawlers. My kids and I love making holiday cookies for our family and friends. While it can be a lot of fun, it’s important to monitor what utensils children handle and keep kids far away from the hot oven. 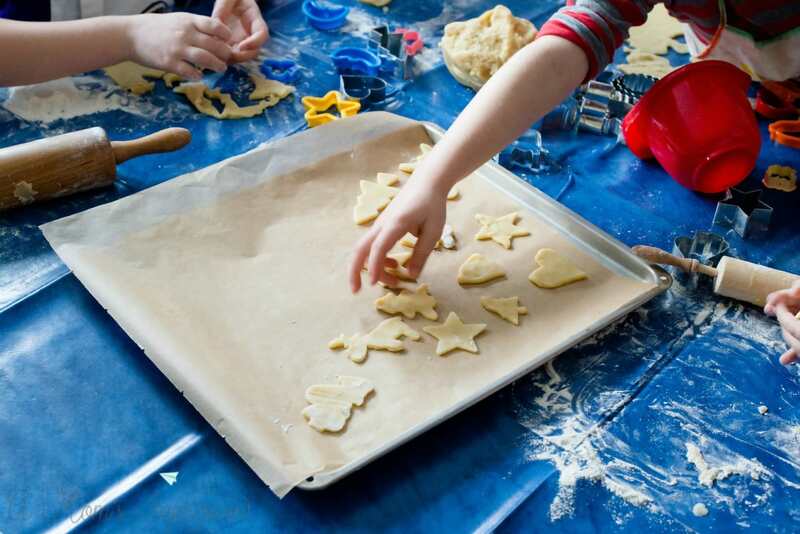 Keep sharp objects away from the baking area and remain alert as children participate. 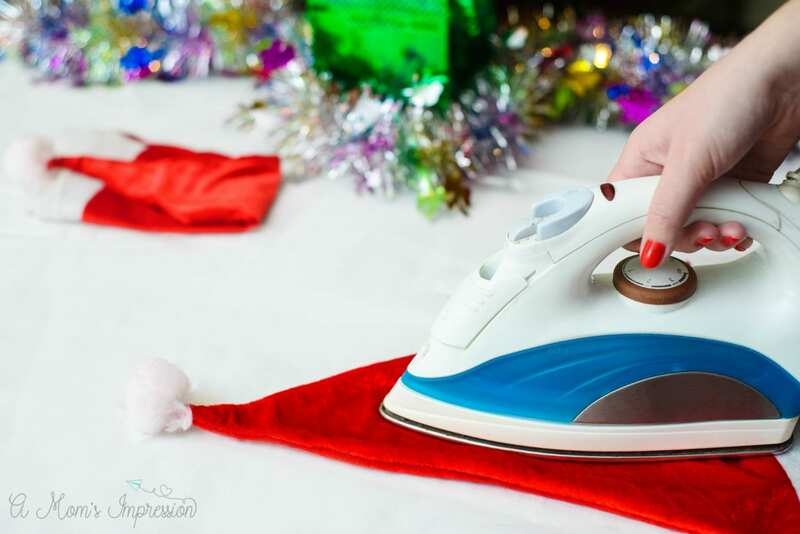 What home safety precautions do you take during the holiday season? Comment on my social post to share your favorite tips! I am wishing you and your family a safe and happy holiday season!